The Biblical Calendar – A Lion Has Roared! We would like to follow God’s request to worship Him in Spirit and in truth. But in order to understand when to celebrate His Sabbaths and Feasts, we need to have an understanding of the Biblical Calendar. If we allow Scripture alone to lead us, we can learn the Bible truth about God’s calendar. God established a Biblical calendar and He uses this calendar to identify His holy days for us to meet with Him. On the fourth day of Creation He placed signs in the sky to mark this calendar. The Biblical year revolves around the harvest season. The year begins with the month when there are ripening heads of barley in late Spring and ends in Fall when the harvest is fully gathered in. The sign in the heavens that marks the beginning of the year is the moon, not the Vernal Equinox of the sun. The moon also marks the beginning of each month. 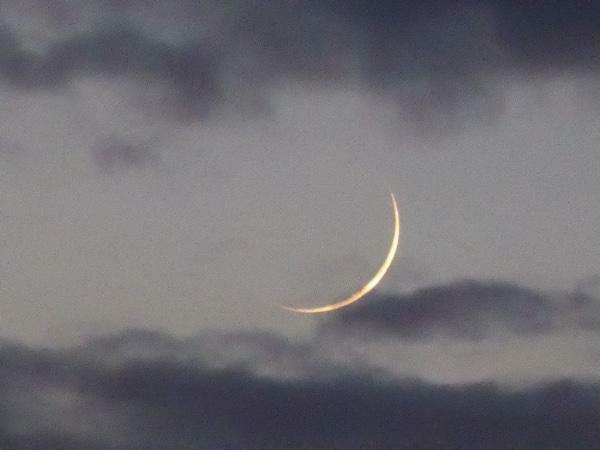 The first visible crescent of the moon after sunset marks the start of the first day of the month. 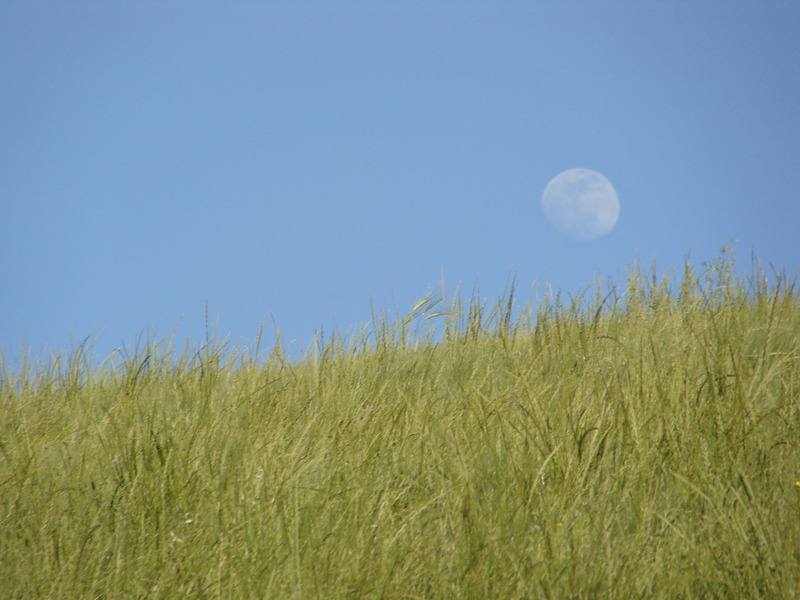 Christians and Messianic Believers should observe the harvest and the moon in their unique locations instead of relying on observations in Jerusalem. This verse tells us specific facts about the Biblical Calendar. God established His calendar on the 4th day of Creation. The word “seasons” is the Hebrew word H4150 moed which are God’s appointed meeting times. From the 4th day of Creation, God intended to use His calendar to identify His appointments, which include the weekly Sabbath and His Feasts (Leviticus 23). The “lights in the firmament of the heaven” are signs (H226 oth) and will be used to mark this calendar. He placed this calendar in the sky for everyone to see, so no one needs to use the internet or follow someone else to determine the Biblical Calendar. In the same conversation, God mentions the name of this first month of the year. From this passage in Exodus 12-13, we can learn that the first month of the year is the same month in which the ancient Hebrews made their great Exodus from Egypt. We also learn that God named this month “Abib.” When we discover the meaning of this word “Abib” we will find that this name alone ties the month to the agricultural growing season. Looking at this word Abib in a couple of Hebrew dictionaries might give us deeper insight into the meaning of the text. Abib, Strong’s number H24 = ear, tender, young, green ears of grain. The first month of the year is named after the condition of the grain when it is tender, green and going to seed. If we want to know what season of the year this first month falls in, we can find the answer in Scripture by examining the condition of the crops during the time the seventh plague fell on Egypt. “Behold, tomorrow about this time I will cause very heavy hail to rain down, such as has not been in Egypt since its founding until now. Therefore send now and gather your livestock and all that you have in the field, for the hail shall come down on every man and every animal which is found in the field and is not brought home; and they shall die. . . .
“And Moses stretched out his rod toward heaven; and the Lord sent thunder and hail, and fire darted to the ground. And the Lord rained hail on the land of Egypt. This plague of hail fell in the same month that Jehovah brought the Children of Israel out of Egypt. This was the month of the Exodus and the Passover. This was the month named Abib. In Exodus 9:31-32 we see four different crops mentioned. Of these, only the barley was in the state of abib. The barley had gone to seed, the flax was flowering, and the wheat and spelt were either not yet sprouted out of the ground or were tender grass that was able to bounce back after the hail. The barley itself is not important except that it helps place the timing of this particular month. In the original Hebrew language, this word “in the head” or “in the ear” is the same word H24 abib. 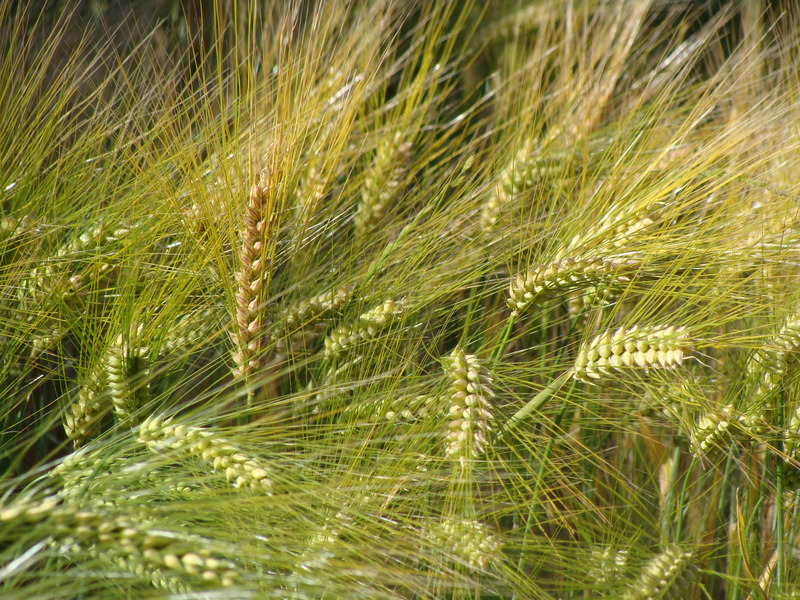 “The barley was abib,” and the month was called Abib, showing that this month corresponded to the particular time in which the barley was in seed. In conjunction with His decree to keep this as the first month, God gave further instructions that in this same month His people were to keep the Feast of Unleavened Bread. This Feast included a wave sheaf offering of firstfruits somewhere between the 15th and 21st days of this month. God then stated that no part of the new crop could be eaten until this offering had been presented. 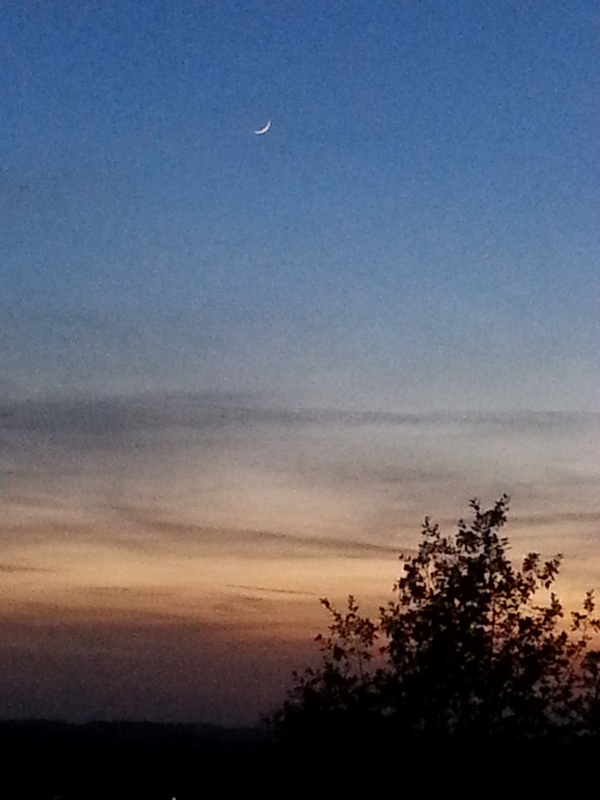 A sheaf of abib and a 10-day old moon. From the Hebrew, the deeper meaning of this verse comes out. green ears of corn, H24 abib = green seed heads. corn beaten, H1653 geres = kernels. out of full ears, H3759 karmel = a planted field, the fruitful field. The firstfruit offering consists of either green seed heads or fully developed kernels. This shows that a firstfruit offering can be made anytime within the harvest season as long as it is not before there are green seed heads on the grain. And of course, since it is a “firstfruit” offering, it cannot be too late in the harvest of that particular crop because the food could not be eaten until after the offering was made according to Leviticus 23:14. This text also tells us that this firstfruits sheaf was freshly taken out of the fruitful field when it was offered. A traveler would cut this sheaf and then immediately carry it the several days walk to Jerusalem for the Feast. The barley crop, as shown by its stage of development during the Egyptian plagues, was the first crop of the year. From Scripture, we also know it was the only crop that was close to being ready for harvest during the first month. So we know that the wave sheaf offered during the Feast of Unleavened Bread is going to be the firstfruits of the barley crop. But this description in Leviticus 2 of the firstfruits leaves the start of the year fairly open to interpretation. Is the start of the year the time when you see the very first green heads of grain forming on the barley? Or is it in the next month when this grain is getting closer to the time it will be harvested? The Bible will answer this question. Throughout the growing season, the people could offer the firstfruits of each and every crop, including the firstfruits of the wheat harvest which comes at the Feast of Pentecost. 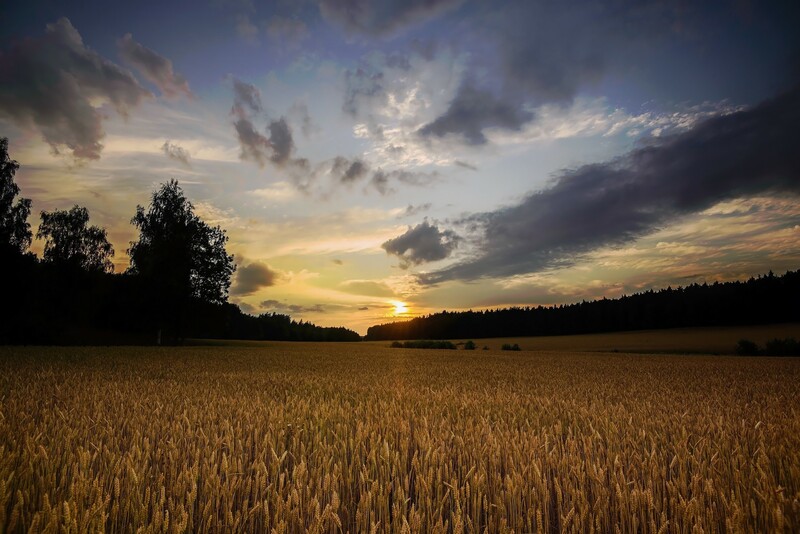 In this way, the development of the wheat harvest could also help us place the first month of the year because it ripens 50 days after the Feast of Unleavened Bread. 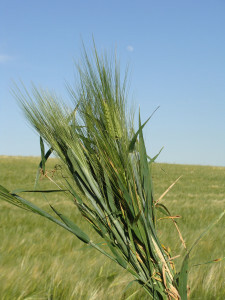 In Deuteronomy, we are shown this relationship between the barley and wheat harvests and we are also given the answer to the question of “Does the year start with the first appearance of seed heads on the barley, or later when it is more developed?” With the instructions for counting 50 days until the Feast of Pentecost, we find the answer. The proper timing for this first month of the year can only be placed if consideration is also given to the end of the year which comes in the 7th month. Additional evidence comes with the injunction to keep the Feast of Ingathering at the end of the year. This text further emphasizes that the yearly cycle and the Feasts revolve around the harvest season. It also helps to develop the timeline of the new year. By the end of the seventh month, the harvest needed to be complete, the grain sown for the next year and the food preserved for the winter months. This was truly a Thanksgiving festival to be held after the harvest was complete. This phrase “gathered in” is accompanied by a second Strong’s word, H853 eyth which gives it the extra emphasis of completion, surety or finality. Then Deuteronomy 16:13 completes the explanation of the timing of this feast in the 7th month. Gathered in, H622 asaph = gathered, take away or withdraw. H4480 minnee = from, out of or after that. Corn, H1637 goren = a threshing floor. The Hebrew words in this verse give the understanding that you have not just harvested your grain and wine, but that you have also processed these foods. The work of harvesting and also processing the harvest are completely finished at the time you keep the Feast of Ingathering in the end of the seventh month. The first month of the new year comes when the earliest harvest is ripe. The year continues into the 7th month when the work of the harvest will be complete. You cannot start the new year too early or else, by the 7th month, you will not have completed the harvest. When traveling to Jerusalem to keep the Feast of Tabernacles, the farmers would not have left their fields in the middle of the harvest, nor would they have left their wives and children home alone to finish the processing. There is ample Scriptural evidence to show that the harvest determines which month of the year is the first month. But we also have to look to Scripture in order to identify exactly which day is the first day of this month. This is important because the exact day of many Feasts are counted from this first day. In the first month, the 10th, 14th, and 15th-21st days all identify events. And then 50 days after the firstfruits offering comes the day of Pentecost. All of these days are dependent on finding the correct first day of the year. And Scripture will help us find the correct date. We saw that when God established His calendar on the 4th day of Creation, He specifically pointed out that the lights in the heavens would mark His moed—His set appointed meetings. Signs, H226 oth = signal, flag, beacon, sign, marker. Seasons, H4150 moed = an appointment, a set time, a set appointed meeting, the act of congregating, an assembly designated for a specific purpose, a Feast. This text tells us that the lights in the heavens would be signs (H226 oth) that mark God’s meeting times and identify the days and years. But in Genesis, God does not tell us which of these lights will identify the month or the new year. We need to explore other places in Scripture to get this information. Today we consider the “year” to be a solar event that is defined by the cycle of the Sun. So we would assume that the Sun is the light in the heavens that marks the year. And today’s astronomers consider the Sun’s position at the time of the Vernal Equinox to be the zero point in which to start the year. So it is surprising that God does not use the sun to mark the start and end of the year. We have just learned that the Bible uses the harvest cycle to determine the revolution of the year. With the harvest as the foundation of the Biblical year, God chooses a different and unexpected marker. These verses tell us that we are going to look at the moon to find the first day of the new year. The moon is an obvious heavenly light to mark the cycle of the month because the moon’s cycle is repeated each month. The words “moon” and “month” are used interchangeably in many languages including ancient Hebrew where we find that they are the very same word. The Hebrew word for “month” tells which phase of the moon starts the new month. 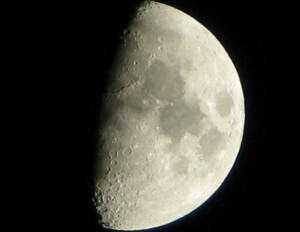 Unlike the pagans, who placed great emphasis on the full moon, or the Rabbis who use the dark of the moon when it is aligned with the sun, (called “conjunction” or the “astronomical new moon”), Scripture specifically points to the actual observance of or the sighting of the new moon in the sky. The word used 256 times in the King James Old Testament is H2320 chodesh. It means “month.” But this very same word also means “new moon.” This Hebrew word helps us know the exact phase of the moon that defines the month. We can see this in Deuteronomy 16:1. “ObserveH8104(H853) the monthH2320 of Abib,H24 and keep the Passover to the Lord your God, for in the month of Abib the Lord your God brought you out of Egypt by night. Again we turn to the Hebrew words to see the deeper meanings in this passage. “Observe” is H8104 shamar plus H853 eyth, which means: to keep, protect, observe visually, attend to, wait for or watch for. As we saw earlier, the added H853 eyth makes it a superlative and gives body and added emphasis to its importance and longevity. So this means, surely observe or specifically observe. 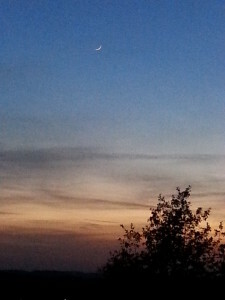 This is how the word “new moon” got its meaning. The specific phase of the moon used to locate the start of the month is when it is “new.” This is when it appears to be renewing or rebuilding in the sky. While refreshing the Passover instructions in this text, God also is giving very precise instructions as to when to begin the new year. The month that the Passover falls in is the first month of the year. This month is called Abib because it corresponds to the month when there are ripening heads of grain. 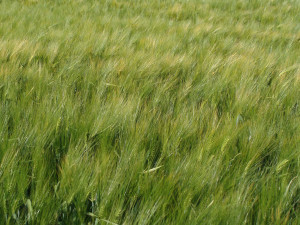 The barley is the crop that is in the state of abib during the month of Abib. We are to visually see the new moon at the beginning of this month. We are to surely look for this month. We are to observe by both visually seeing the new moon and by attending to the importance of this month. We are to surely observe by waiting for it, watching for it. This month is called Abib because it is the time when there are heads of grain ripening in the field. The month of Abib is not when the first signs of seed heads appear on the grain, but when the grain is almost ready to be harvested. Once you have seen the new crescent of the moon during the first month of the harvest, you can then find your way to the rest of the Feasts simply by counting. The evening in which you see the moon, and the day following it, is the first day of the year. The Passover is prepared on the 14th day of that month and eaten that night before sundown. The Feast of Unleavened Bread is from the 15th day until the 21st day of this first month. The day after the weekly Sabbath during the Feast of Unleavened Bread is the day of the Wave Sheaf. From this date you count 50 days to Pentecost which also falls on the day after the 7th-day Sabbath. Pentecost always falls on the 1st day of the week (Sunday) as shown by the two different ways to count to it in Leviticus 23:15-16. Then you simply count six more months until the 7th month. Again you look for the new moon so you can find the first day of the 7th month. That day is the Feast of Trumpets. On the 10th day of this month is the Day of Atonement. From the 15th to the 20th days is the Feast of Tabernacles. Then on the 21st day is the Last Great Day. Relying on Scripture alone, we have the complete definition of the Biblical Calendar. God wants us to follow His calendar that He established on the Fourth Day of Creation. Finding the correct timing for His Sabbaths, Feasts and moed depends on understanding this calendar. The first day of the month can be determined by physically observing the first crescent of the New Moon in the western sky. Repeat this observation in the 7th month to determine the exact days for the Fall Feasts. The year concludes in the Fall, in the 7th month, when the harvest is fully taken in. This 7th month cannot be both the end of the year and also the beginning of the year, contradicting the Jewish practice of celebrating the New Year in September. The light in the heavens that marks both the year and the months is the Moon. The Vernal Equinox of the Sun is not the heavenly sign that marks the new year. The Sun is the light in the heavens that marks the day, its setting and rising clearly identifying each day. A week is composed of seven of these days, ending with the Sabbath. The Sabbath is found by observing the Sun (not the Moon) and counting seven days. When God gave His Ten Commandments to Moses and wrote them on the Tables of Stone, He specifically reminded us to follow the Biblical Calendar. He said to keep the Feast of Unleavened Bread “in the appointed time of the month of Abib.” (Exodus 34:18) Only with the knowledge of the true calendar will we be able to identify the times when God desires to meet with us. By looking to the Bible we have outlined the Biblical Calendar. But today, there is a question about location. God had originally told the Hebrews to come to meet with Him on three Feasts at the location that He chose and where He placed His name. And the location where He placed His name was in Jerusalem. The calendar questions circling the globe are “Should we look for abib barley in Jerusalem?” And should we base the new month on the sighting of the new moon in Jerusalem? At first it appears that this question could have several possible answers. We could look for the harvest in Egypt since that is where the crops were struck by hail when God gave the instruction to keep this as the first month of the year. Or we could go by the status of the abib in Jerusalem since that was where the Lord chose to place His name. But Christians have a different answer. The Jerusalem temple is no longer the place where God dwells or where He chooses to place His name. The Sabbath day begins at sundown on the sixth day of the week. This moment does not happen at the same instant throughout the world. God is able to accept a flow of worship as the sun sets and the Sabbath day begins. In the same way, the “set appointed meetings” of God—or His Biblical Holy Days—do not need to begin at the exact same instant throughout the globe. California, a glorious field of ripening barley 4 days before the Feast of Passover. The Feast Days revolve around the theme of the harvest. And following the growing season in your locale will help you to understand the lessons embodied by the Feasts. Whether you are in the Northern or Southern Hemispheres, you can look for barley growing in your area or the grasses in your backyard, but you should at least try to center the year around the growing season in your location. 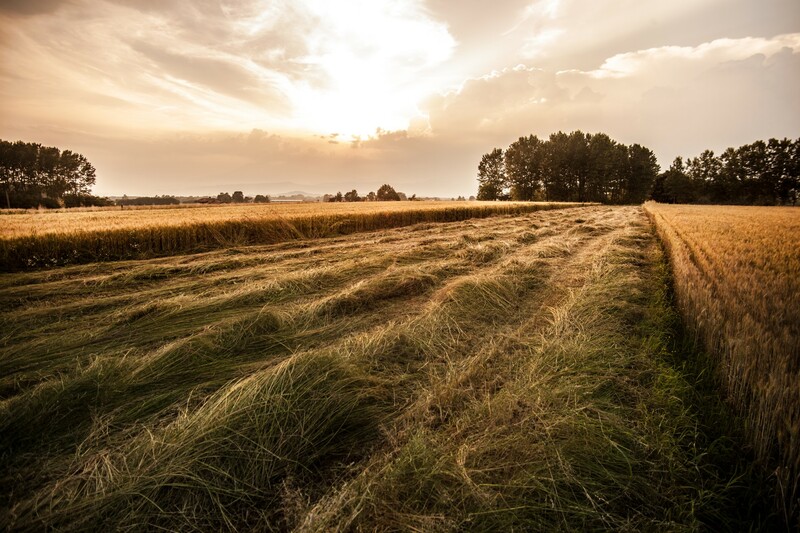 If you live in a city or climate that does not lend itself to a harvest, you unfortunately have lost some of the impact of the harvest lessons. But do not fear, no matter where you are, you will at least be able to look out for the crescent moon in the late April to mark the start of the year. The lights in the heavens mark God’s calendar so every person can see them. Just as you might tack your calendar to your wall, God has pinned the Moon in the sky for all to see. Each month you can watch for the first crescent of the new moon in the western sky after sundown and know that this night marks the start of a new month. The important point is to be reliant on God and to place Bible truth foremost in our lives. With this as our starting point, the Lord will be able to lead us into more and greater truths. We need to keep our eyes fixed on Jesus, just like He told Peter, “You, follow Me.” Wherever you are, you can gather together to rejoice and worship the Father in Spirit and in truth. The Father is seeking such to worship Him. May God bless you as you rejoice with Him on His new moons, Sabbaths and moed! Strong’s Hebrew numbers and definitions are taken from Strong’s Exhaustive Concordance of the Bible, James Strong, World Bible Publishers, 1890.